The Federal Communications Commission (FCC or Commission) issued a notice to all Participating Commercial Mobile Service (CMS) Providers, Emergency Alert System (EAS) Participants, and to the public that the Federal Emergency Management Agency (FEMA), in coordination with the FCC, will conduct a nationwide combined test of the Wireless Emergency Alert (WEA) and EAS on September 20, 2018, with a back-up date of October 3, 2018. 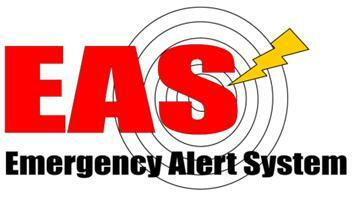 For the first time the test will include the Wireless Emergency Alert System (WEA), which is designed for mobile phones. The WEA test will begin at 2:18PM Eastern. The broadcast EAS test will be sent at 2:20 PM Eastern. For more detailed information about the test from the FCC click HERE.